Unfortunately, I remember few movie theater outings as a young child, but seeing Clueless at six years old was memorable. I didn’t really understand it at the time, but I wanted to be the main character, Cher. She was cool, beautiful and smart in her own way. She had amazing style, even a bit superficial yet still down to earth as well. I adored her, and it came as no surprise that I would replay the movie with my Barbie’s every day after school. As I grew older and started to understand Clueless better, I realized how funny and biting it is as social commentary. Finally the same age as Cher, I couldn’t exactly relate to her completely, but I managed to identify with her ambition and envy her designer closet. It wasn’t until this year, when I watched it again for the first time in years that I see how feminist the movie is and how the movie directly impacted the way I saw myself as a woman: someone who is ambitious, assertive and not one to let naysayers and the like stop me from going after what I want. Clueless taught me a lot about being independent without me knowing about it. 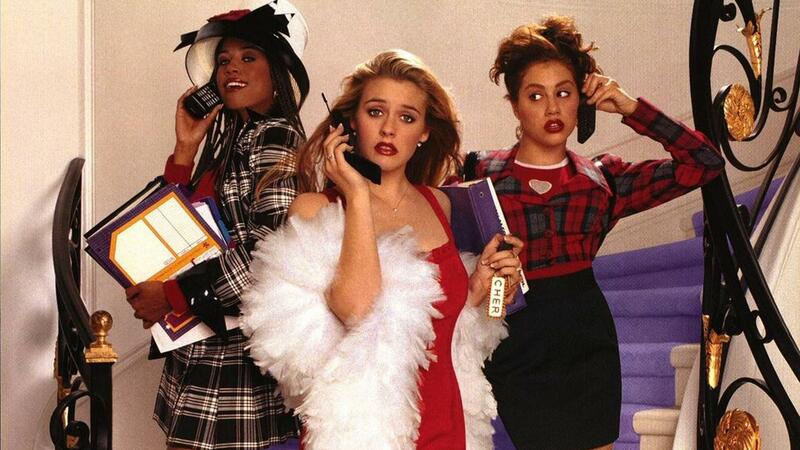 Most film lovers have a movie that shaped them and Clueless is definitely one of them for me. With this revisiting of the film, I plan to primarily focus on Cher’s character and how she’s a tour-de-force in Clueless. Starring Alicia Silverstone, Clueless follows Cher Horowitz, a rich teenager, navigating life and love at Beverly Hills High School. She finds creative ways to manipulate the people around her to improve her life and the well-beings of those around her. That includes setting a love match between two teachers to get better grades, making over the new girl and looking after her dad’s health. Cher starts off as a bit of snob, manipulating her way to success without much thought to the people involved. It’s all harmless until Cher starts realizing the repercussions of her actions. Broken friendships, disappointing relationships and dwindling popularity cause Cher to reevaluate her life and with as much gusto as before, she changes for the better. This transition into selflessness yet still saying the same charming character is one of my favorite parts of the film. It doesn’t lose any of its humor but finds a way to showcase Cher’s change of heart with humility and comedy. Writer/director Amy Heckerling reimagines the classic novel, Emma, so fully, giving us a modern heroine and providing the type of social commentary that transcends time and generations. It’s rare for a teen comedy to capture a specific period of time as well as Clueless did and be a film that is just as relatable and familiar 20 years later.